Heat oven to 350°F. Spray cookie sheet with cooking spray or line with cooking parchment paper. 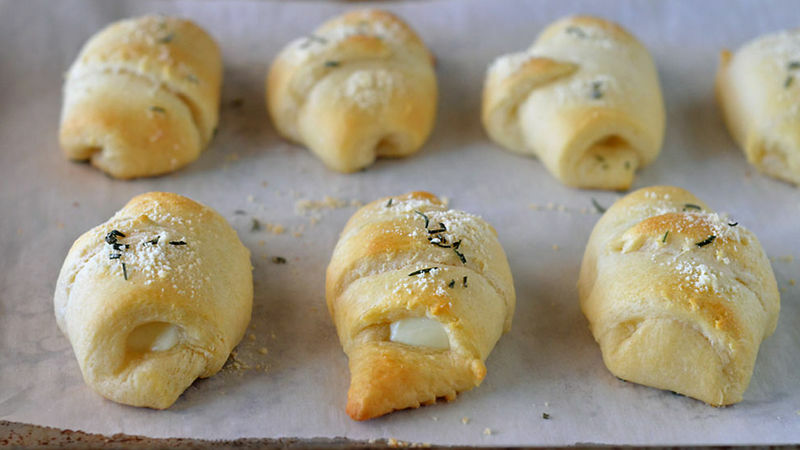 Place 1 piece of string cheese on wide end of each dough triangle. 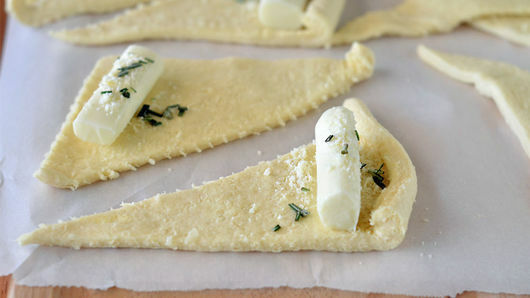 Sprinkle each piece of string cheese with 1/4 teaspoon rosemary and 1/4 teaspoon Parmesan cheese. 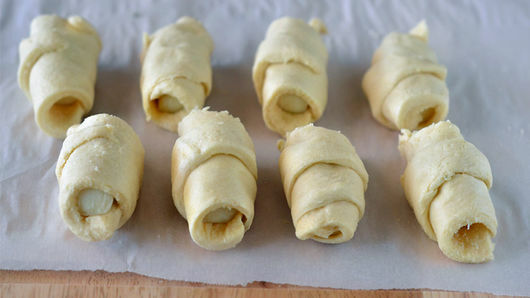 Roll up each, starting at shortest side of triangle, gently wrapping dough around filling and rolling to opposite point. Place on cookie sheet. 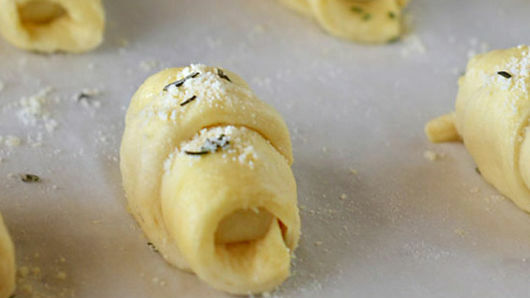 Top each crescent with some of remaining rosemary and Parmesan cheese. Bake 12 to 14 minutes or until golden brown. Serve immediately. Try adding oregano and basil for added flavor! Not a fan of mozzarella string cheese? Try Cheddar cheese instead! Serve with Progresso™ Vegetable Classics Tuscan-style white bean soup.